HammerStrike Pixel Art Animations| RPG Maker | Create Your Own Game! Brought to you by HammerStrike, a new, creative and fun pack of retro style interesting animations featuring hypnotic discs, pulsars, letters and numbers, slashes, whirling discs, wave attacks, interesting mathematical designed shapes, and more! 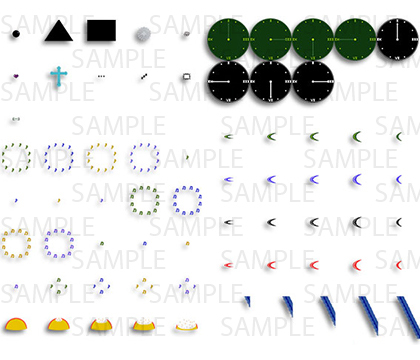 Over 70 animations for RPG Maker MV and VX-Ace. 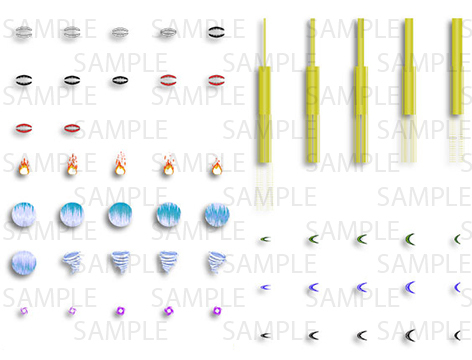 Includes weapons, letters, number icons. Includes Bite, Slash, Wave attack as well as Tsunami, Nuke, Explosion, Impact animations. Includes fun animations such as Hypnosis and Music rings. Works well with other pixel art pack like Time Fantasy and Nostalgia Graphics Pack.